I got my second Liebster award form Surbhi of My cook Book, third from Vimitha of My culinary Trial Room, and fourth from Hema of Aromatic Cooking. I got 2nd versatile blogger award from Maha of Mahaslovelyhome, third from Vimitha of My Culinary Trial Room and fourth from Hema of Aromatic Cooking. All of them have excellent blogs..Do drop by their space and enjoy different recipes. 1. 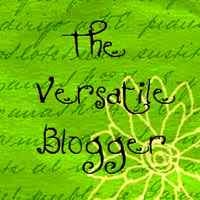 Add the Versatile Blogger Award. 2. Thank the blogger who nominated you in a post with a link back to their blog. 3. Share 7 completely random pieces of information about yourself. 4. Include this set of rules. 5. Forward this award to 15 fellow bloggers, and inform them with a comment on each of their blogs. I used to cook only fancy dishes before my marriage..and that too occasionally with the help of my mother..My interest towards the cooking has got such a hike just after my marriage. I love movies..i started watching movies even more after my marriage..my husband is just crazy about Bollywood. He keeps me updated with all Bollywood news, gossips, and movies. I am always very desperate to learn new things that I'am passionate about. 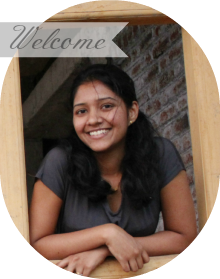 I want to learn more and more dishes from all over the India and want to be expert in baking. congrats on ur well deserved awards and thank u so much for sharing the awards with me.Its a great honour for me. Congrats dear !! Keep Rocking !! and Thanks for passing these awards to me !! Really appreciate it !! Congratss poonam :) & good to know u! Congrats on all your awards dear..
thanks a ton for sharing it with me...sure will psot it soon!! Congrats on your awards dear..Thanks a lot for sharing!! You need to take part in a contest for among the best blogs on the web. I'll recommend this site!